Following my Plasma 5.15 distros list, this is a list of GNOME 3.32 distros which are available as installation LiveCD. 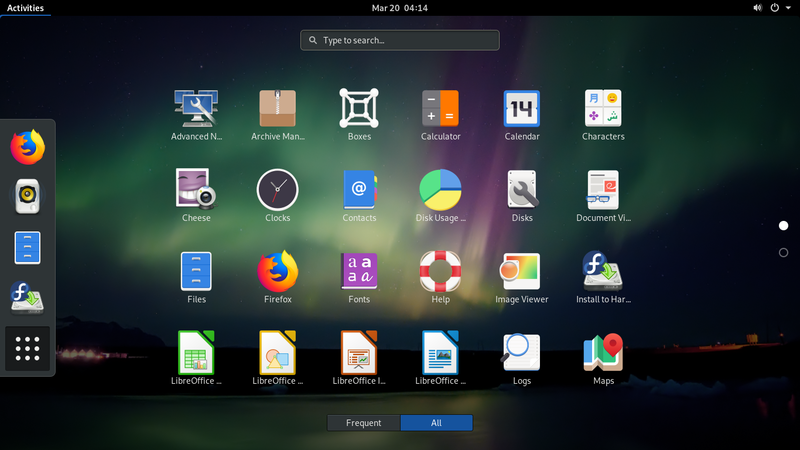 GNOME 3.32 has been released recently at 13 March 2019 and rapidly being made available into several GNU/Linux distros for desktop, either within the ISO or in the repository. 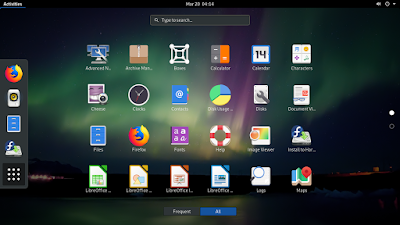 At this moment, you can download any of Ubuntu 19.04 and Fedora Rawhide (for installable LiveCD), followed by openSUSE Tumbleweed, Debian Experimental, Manjaro GNOME, and Mageia 7 (by manually upgrading from respective repositories) in order to quickly test GNOME 3.32. However, please note that this is based on today's data and can be changed rapidly over time. I wish this list helps you. Go ahead, happy downloading, happy testing! Information mentioned here is rapidly changing as by time more distros than mentioned in this list will include GNOME 3.32. For example, at this moment this list does not include, say, PureOS, but certainly sooner of later PureOS will include GNOME 3.32 as well even though I do not mention it here. Distros mentioned here (Rawhide, Disco, etc.) are pre-release operating systems, meaning, only suitable for testing and not for daily use. I strongly suggest you to install one on a separate, dedicated computer for testing so it won't introduce you any risk when it breaks. I advise you to install not one on your daily computer for work. For example, it is good if you test the distro on one unused laptop aside from the laptop you use for work. Manifest file (.manifest) is a plain text file that indexes the contents of an ISO image. Reading manifest can give us details of what packages and their versions included within an ISO image. Good news for us that Ubuntu 19.04 pre-release already brings GNOME 3.32 built-in. We can read the manifest file (today 21 March 2019). Download it here http://cdimage.ubuntu.com/daily-live. At this moment, Fedora Rawhide includes GNOME 3.32 already and you can download it from https://dl.fedoraproject.org/pub/fedora/linux/development/rawhide/Workstation/x86_64/iso. Read more here (wiki) and here and here (Rawhide). I have installed it on my laptop and GNOME screenshot on the beginning of this article is from it. Unfortunately, at this moment I can only find those two distros as desktop LiveCD with GNOME 3.32. More distros below. If you cannot use installable LiveCD distros above, you can if you wish install any of these distros and later upgrade it with certain method to obtain GNOME 3.32. The official repository has gnome-shell 3.32 already. Download Manjaro GNOME here and then install it and finally upgrade the system to obtain latest desktop environment. Don't forget that the total amount of download size is normally huge (can be 1GB or more). Just like Ubuntu 19.04, Mageia 7 is still in development. But the beta ISO is available. Download Mageia 7 beta here https://www.mageia.org/en/downloads/prerelease. You can install the ISO and then upgrade it to obtain GNOME 3.32 from Cauldron repository. Read more here (package search) and here (release notes).